“The Next Big Thing” is a chain-blogging event where authors and artists write about their “next big thing” before tagging another five people to do the same thing the following week or so. My exceptionally talented writer friend Anita Bell (author of numerous best-selling and award-winning books) tagged me (and four others) and wrote up her blog HERE, so now it’s my turn! Photography by Jake Lowe, Dodgy MS Paint mock-up cover by Brewin’ …And yes, these are actually Manna Gums. “The Calling”, otherwise known as “The Dark Horde album”, is an album-length musical that tells of the events leading up to the beginning of my associated horror novel The Dark Horde. The story is told through both narration and sung lyrics, and is set to atmospheric music. The idea is that you can sit back and listen to the whole album and absorb the story: regardless of whether you have read the book or not. Making the album possible are a number of expert vocalists and musicians, including Liam “Wagener” who did the music and video for The Dark Horde book trailer, and Hanny Mohamed who did the music for the Infinite Universe gamebook. 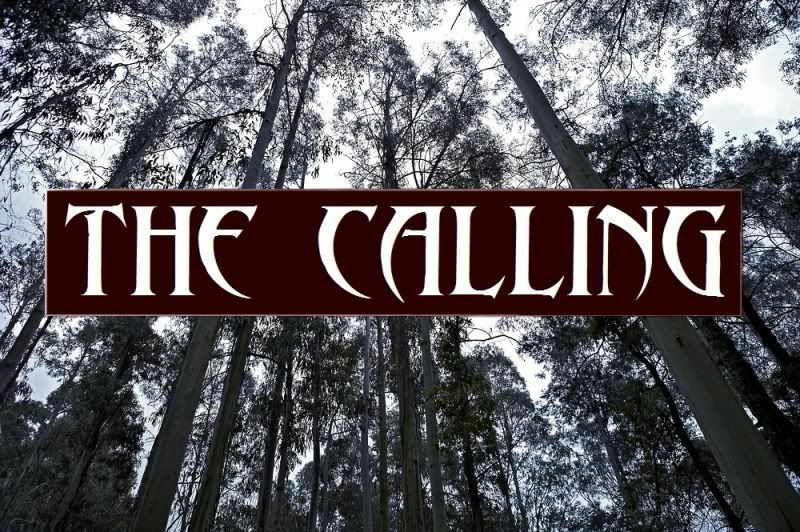 “The Calling” is a project that’s been around at least 13 years, and like the The Dark Horde novel, has already gone through many iterations, but has yet to be released. I’ll refrain from showing you old versions for now, but you’ll get to hear some of the new stuff (i.e. the stuff we are aiming to release) soon enough… In the meantime just imagine it’s something like Jeff Wayne’s War of the Worlds musical, but more horror-based and with an atmospheric “metal” soundtrack. I remember I used to spend quite a lot of time reading these in grade six (1986 was the year), including in class. 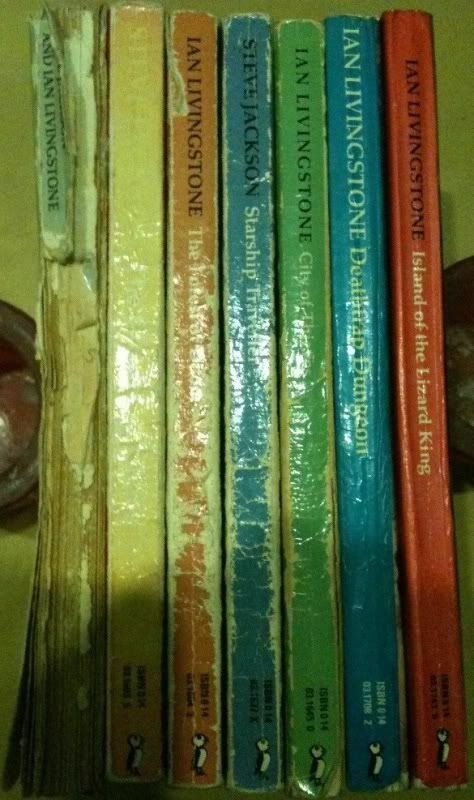 My grade six teacher became quite intrigued by these gamebooks that I was reading, so much so that he began to use them to set class exercises. He’d take pictures from them (mostly the first two as I recall) and have a whole class write stories using one of the pictures as a prompt. Anyway so where I’m going with this, is that Tin Man Games (that I’ve worked with since just after their first gamebook by S.P. Osbourne, An Assassin in Orlandes, was released) is now bringing the series to a digital platform, and Neil Rennison, director of Tin Man Games, knowing my love for the Grail Quest series, and my background in statistics, editing and game design, has put me in charge of figuring out the conversion: i.e. 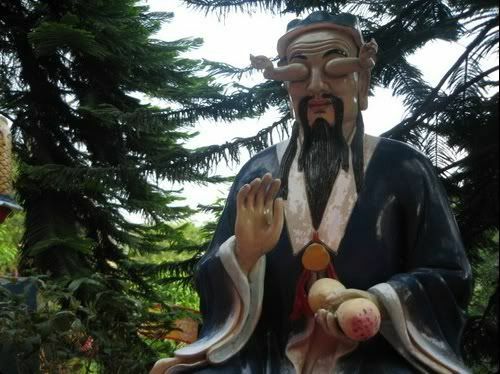 suggesting how it can be implemented (it remains to be seen how much of the actual implementation I do owing to my own time constraints). To be in such a position now, working on the conversion of a series and author I idolised, along with the works of Steve Jackson and Ian Livingstone’s Fighting Fantasy series from the same era, is surreal to say the least! You can read all about the announcement, including some special words from the author, J.H. “Herbie” Brennan, himself HERE. 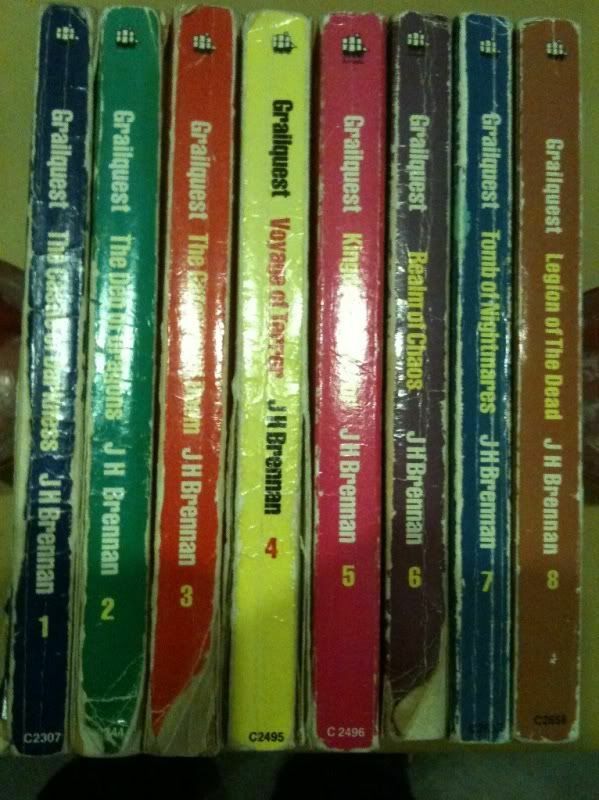 A few of my friends take pride in their rare vinyls from the eighties… But I have gamebooks which are way cooler! 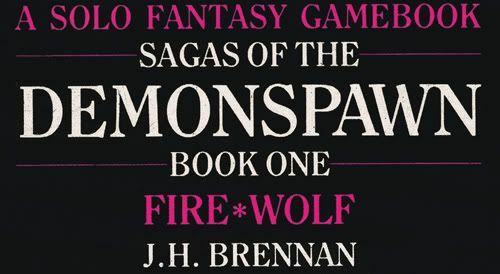 Among other things, Tin Man Games have also announced that they’ll be bringing Herbie Brennan's other classic gamebook series, Sagas of the Demonspawn, to digital format. Like the Grail Quest series, these were exceptionally well-written epic fantasy stories that were targeted towards the “older reader” owing to their adult content at times (which was quite unusual for the era). One thing that (IMHO) they didn’t succeed with so much was the combat system used. I notice I’m not alone in the opinion that not only was the system unnecessarily convoluted but the combats are nigh impossible at times. And having compiled my own gamebook simulator which you can download HERE, I have the stats to back these perceptions up (note that the simulator I’ve made available for download only includes the Fighting Fantasy and Gamebook Adventures systems at this point). So like Grail Quest, I’ll be working on the conversion of Sagas of the Demonspawn to a digital format, and I’m almost as excited about this as I am about Grail Quest. In many ways I imagine that this conversion will make Sagas of the Demonspawn better than it ever was: You keep the fantastic world and story, but streamline the system and ensure it is properly balanced, to end up with one of the greatest gamebook experiences you can have! Everyone wins! J (And to be honest, it doesn’t actually take many tweaks to achieve this: but you’ll see that for yourself soon enough!) Anyway, Neil of Tin Man Games talks more about this release HERE. 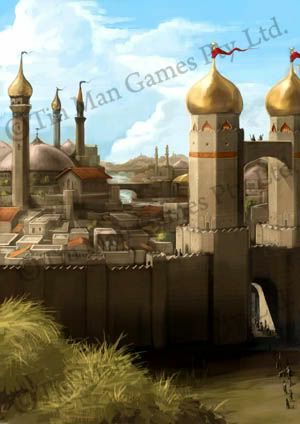 Those Tin Men have certainly been keeping me busy lately, as I’ve also been working on the editing/implementation of another two Gamebook Adventures titles: Sultans of Rema (an illustration from which can be seen above by Joshua Wright) and Shadow over Rema. I also get asked about sequels to my other works: Infinite Universe, The Dark Hordeand Evermore: An Introduction. The short answer is yes there will be sequels at some point, but no I cannot say when. I work a “day job” as an analyst/programmer for the market research company Nielsen as well (my hours varying from one to five days a week depending on demand) and somewhere around that try to maintain a semblance of a social life too… Time is ever the enemy! Hmm I’d like to do a movie-adaption of The Dark Horde too, but such things are well beyond my current focus. Then there’s the other things I’d like to do (given time, I’m not making any promises yet): An expanded version of Trial of the Battle God, something for the Adventurer solo roleplaying system, and other collaborative works such as Operation: Time Bomb. But the biggest (and greatest I think) of all these by a long way is a game system known to many of my friends as Creator. Creator fills over four drawers in my room, comprises many thousands of pages, close to thirty years of work and the collected input of about a hundred playtesters over the years… I haven’t come back to this for a while (Trial of the Battle God includes some elements though), but is certainly something I aim to get to sooner or later: It’s my “life work” if you will, and still to this day, there’s nothing out there like it (at least to my knowledge). Time will tell when I can start to talk about that more as it becomes a more concrete release reality. Okay so enough about me, it’s time to pass the baton to those up next. (And apologies if I’ve made it seem like a hard act to follow: I had a lot to cover haha). David Walters - Book/Gamebook Author and Eastern expert, hailing from Scotland. 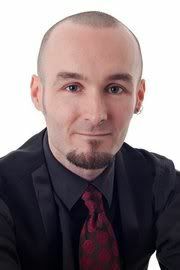 Kevin Powe - Villainous voice over artist and gamer, hailing from Australia. 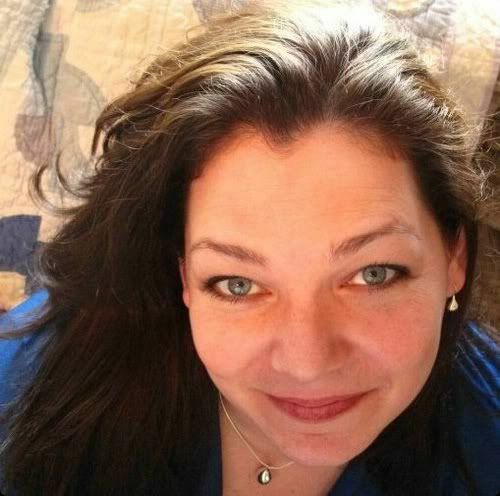 Kimberly Kinrade - Novelist and Publicity/Marketing guru, hailing from the US. Joshua Wright - Illustrator and Designer, hailing from Australia. 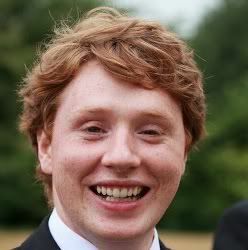 Stuart Lloyd - Gamebook guru and Designer, hailing from England. Express Yourself and Be the Star You Are! Coffin Hop back for 2014! Nice to see much loved books, Brewin.